Melaleuca is based out of Idaho and operate in the nutritional supplements, cleaning supplies, and personal-care MLM niches. Melaleuca was founded all the way back in 1985 by Frank VanderSloot, who today at 70 remains CEO of the company. According to Forbes, VanderSloot (right) has an estimated net worth of $4.2 billion. (VanderSloot) is a major landowner — with an estimated 117,500 acres across Idaho, Utah and Montana — and he runs a leading purebred angus cattle operation. He is also an active political donor, giving millions to Republicans. He was a national finance co-chair for Mitt Romney’s two presidential bids. Prior to Melaleuca VanderSloot’s relatives ran the MLM company Oil of Melaleuca. In September 1985, amid FDA investigations into exaggerated medical claims and inventory loading, Melaleuca, VanderSloot’s relatives offered him the company. By the end of the year Oil of Melaleuca had been shut down and rebooted as Melaleuca. Since then Melaleuca has mostly had a clear-run with regulators, which is impressive considering the age of the company. Echoing the 1985 Oil of Melaleuca situation, in 1991 Michigan issued Melaleuca a cease and desist over alleged violations of the state’s anti pyramid scheme laws. The Idaho Attorney General took issue with the marketing practices of several of Melaleuca’s affiliates, as opposed to the company’s business model itself. In 1997 Melaleuca received a warning letter for “false and misleading claims” regarding two of their supplements. The matter was resolved and since then nothing further has come of it. By my count it’s been over two decades since Melaleuca’s last regulatory run-in. That’s not to say the company is in the clear though. Investigations by Truth in Advertising have documented ongoing instances of Melaleuca affiliates making illegal health claims and false and unsubstantiated income claims. Read on for a full review of the Melaleuca MLM opportunity. Melaleuca describes itself as ‘the largest online wellness shopping club‘. 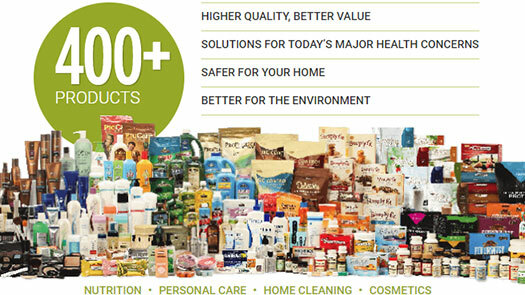 There might be something to that claim, with Melaleuca counting an impressive 400+ products in its range. Every product has been developed and manufactured to stand out from the competition. Each must be superior in a very clear and relevant way to the products you might otherwise use. That means they are researched, refined, and scrutinized before they ever go to market. Specific product categories featured on Melaleuca’s website include nutrition, medicine cabinet, beauty, household, bath & body and essential oils. Unfortunately Melaleuca’s online catalog and shopping cart isn’t as useful as it could be. For starters I had trouble finding it off the main Melaleuca website. Eventually I found a link the store buried in the website footer (second link down in the far right column). Once you’re at the store, you’ll notice some of Melaleuca’s “best sellers” appear to provide retail pricing. Look close though and you’ll see it’s actually quoted savings. For whatever reason, Melaleuca fails to provide potential customers with retail pricing on their website. Not sure why this is, seeing as the company encourages me to add any product I’m viewing to my cart. Why as a potential retail customer would I commit to buying something when I have no idea what it costs? The rest of the product information provided is what you’d expect and informative. It’s just let down by the complete lack of provided pricing. I can only assume this is by design on Melaleuca’s behalf, as the company has certainly been around long enough to know better. Melaleuca’s compensation plan is primarily geared toward enrollment and retention of retail customers. The expansive plan rewards Melaleuca affiliates with direct and residual commissions, as well as several performance-based bonuses. There are a whopping forty-nine affiliate ranks within Melaleuca’s compensation plan. Each Melaleuca product has a corresponding PV value. PV is used to calculate commissions and bonuses, as opposed to the dollar amount paid for products. PEG stands for “Personal Enrollee Group” and is PV generated by personally recruited affiliates only. An active retail customer is one who has ordered 29 PV or more worth of product that month. One additional qualification criteria I’ve left off due to uncertainty are Leadership Points. Leadership Points are awarded when Melaleuca affiliates help their downline source retail customers through presentations. An additional point is awarded to the presenting affiliate if the customer purchases a Value or Home Conversion Pack. Leadership Points are cited in the Melaleuca compensation plan as monthly averages as opposed to hard monthly requirements. How many months the Leadership Point average is calculated over is not provided. Finally, while Leadership Credits are cited requirements for Corporate Director 2 and higher, no explanation for what Leadership Credits actually are is provided in Melaleuca’s compensation plan. Melaleuca affiliates receive a 50% commission on any orders placed by retail customers within a month of the customer’s first order date. Melaleuca pays residual retail commissions via a unilevel compensation structure. Melaleuca caps payable residual retail commissions at seven unilevel team levels. The Leadership Bonus pays out $5 per Leadership Point acquired after the first ten points each month (i.e. from the eleventh Leadership Point onward). The Leadership Growth Bonus is tied to the generation of at least a 30 Leadership Point average over a rolling three-month average for Senior Director and higher ranked affiliates. Melaleuca split the Rank Achievement Bonus into a straight Advancement Bonus or Pacesetter Bonus. The Advancement Bonus option pays a fixed bonus through each of Melaleuca’s forty-nine affiliate ranks. Note that an additional $100,000 is paid out at the Corporate Director rank. The Pacesetter Bonus pays double the Advancement Bonus, however rank advancement is tied to a specific time-frame. Although not explicitly clarified in the Melaleuca compensation plan, I believe the Pacesetter Bonus is offered as an alternative. After the Senior Director 9 rank only the Advancement Bonus is available. PEG time-frames aren’t provided, however I believe they correspond to the month a new rank is being qualified for. For both the Advancement Bonus and Pacesetter Bonus, retail customer retention rates over a five month period are taken into consideration. Retention is calculated based on retail customer reorders from month to month. An affiliate has a 12 month grace-period from each rank qualified for in which to earn any lost rank achievement bonus. having one more active retail customer over when the rank was first qualified for. Finally, Director 3 and higher ranks require qualification criteria to be met two months prior to bonus payment. The Mentoring Bonus is paid to affiliates who’s personally recruited downline qualify at the Director to Executive Director ranks. For the Director to Senior Director ranks the Mentoring Bonus paid out is equal to that of the Advancement Bonus. The Core Mentoring Bonus allows Director and higher ranked affiliates to earn a Mentoring Bonus on affiliates they didn’t recruit. If a Director 3 or higher ranked affiliate recruits and maintains a second Director 3 through Senior Director personally recruited affiliate, the above Core Mentoring Bonus amounts are doubled for two months. Note that from Executive Director and higher the monthly Car Bonus can be put towards two new cars. If a Melaleuca affiliate enrolls 20 active retail customers over their first five months, they qualify for a one-time $500 20/20 Bonus. Melaleuca affiliate membership is $29. Melaleuca’s Independent Marketing Executive Application states there is an additional $30 fee if the affiliate is “also enrolling as a customer”. The FAQ on the Melaleuca website states that affiliate membership is only $19 if applied for along with preferred customer membership. Note that the above dollar amounts are annual recurring. Testament to the length of this review, Melaleuca’s compensation plan is about where you’d expect a thirty-four year old MLM company’s to be. The plan is long but, to their credit, Melaleuca manage to avoid the confusion pitfall older MLM companies fall into. That is a compensation plan that has been tacked onto so many times that it resembles an unintelligible mess. It did take me a while to get through Melaleuca’s compensation plan, but at no point did I feel overwhelmed or confused. Refreshingly, Melaleuca’s business model is solidly rooted in the acquisition and retention of retail customers. I couldn’t find anything more recent, but as of 2013 Melaleuca claimed that 62.2 percent of sales were attributable to retail customers. Note that’s sales revenue, which is what we want to see as opposed to raw retail customer affiliate numbers. Another 23 percent of sales volume is attributed to former distributors, but it isn’t stated whether these distributors can still qualify for commissions. In any event, with 62.2% of sales revenue being derived from retail customers Melaleuca safely avoids pyramid scheme territory. Again I don’t know what Melaleuca’s current retail sales volume figure is but if it was at 62.2% after thirty-two years of business, I don’t imagine it’s changed too much since. those who buy Melaleuca products each month are strictly customers. financial opportunity. They just love Melaleuca products. But doesn’t categorically state whether any of the quoted 79% are affiliates who haven’t earned commissions. On the product side of things Melaleuca operates as a shopping alternative for mostly consumables. This ties in to the emphasis of repeat orders, which likely make up the majority of month to month sales volume. Note that most of these customers are probably preferred customers, who pay $19 a year in exchange for a purchase commitment and 30% to 50% discount. Unfortunately there’s no provided retail pricing on Melaleuca’s website, which means there’s no direct indication of competitive retail pricing. Melaleuca’s retail customer size does suggest the company is retail competitive, but it’d still be nice to be able to compare. With Melaleuca’s product-range appearing to exclusive, there doesn’t appear to be any legitimate reason to not provide retail pricing. With respect to Melaleuca’s compensation plan, it’s been stretched out I imagine due to the length of time some affiliates have been with the company. I initially balked at forty-nine Melaleuca affiliate ranks, but having gone through them they’re not unreasonably spaced out. At least one bonus is tied to every rank, so progression throughout the ranks is kept meaningful as far as compensation goes (no “you get a pin!” unnecessary ranks). One aspect of Melaleuca’s compensation plan that might be challenging is the whole Leadership Points thing. Leadership Points are acquired through hosting Melaleuca presentations that convert into retail customers. Average Leadership Points production is tied to rank, so it seems giving presentations is a solid component of building a Melaleuca business. If you’re not into giving presentations, Melaleuca probably isn’t the company for you. On the other hand the presentations are geared to retail customer acquisition, so it’s great to see them baked into the compensation plan as rank qualification criteria. What I’m not entirely sure on is whether Leadership Points awarded any time a retail customer is enrolled. The Melaleuca compensation plan specifically mentions presentations but I don’t see how the company might police that if it is restricted. Echoing back to retail customer acquisition and retention, it’s worth noting that retail customers have to place an order to count toward commission qualification. 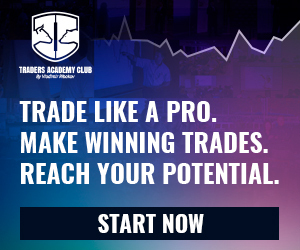 For the first three months “backup orders” don’t generate commissions. The customer has to manually order products (can be a monthly order). After three months of ordering a retail customer likely has a sense of what they’re going to continue ordering, after which autoship can kick in. From a business perspective, this is great opportunity for interaction between Melaleuca affiliates and their retail customers – which is key to ongoing retention. And with retail customer retention an affiliate rank requirement, that’s something all Melaleuca affiliates are going to have to focus on. At the Senior Director rank for example, twenty active retail customers are required – with the rank maxing out at $36,000 a year in commissions. Pretty reasonable if you ask me. Commissions are paid on the first 150 PV that a customer purchases each month. No commissions are paid on amounts exceeding 150 PV. I can’t say for sure but this appears to be enforced to tackle potential inventory loading. I believe Melaleuca might actually be one of the first MLM companies I’ve seen actively discourage excessive purchase pressure in the field. All in all Melaleuca as an MLM opportunity caters to those wanting to earn a bit on a few customers. The compensation plan is also expansive enough to offer depth to anyone wanting to go at it full-time or anywhere in between. The big question mark is retail pricing but I did see periodic catalogs mentioned in Melaleuca’s marketing material. It might be worth asking the affiliate you’re in contact with for a catalog so you can compare pricing against what you’re already buying. They might not be 1:1 comparisons but should be close enough for you to get an idea of what you’ll be paying should you switch. Oh and obviously be wary of any unsubstantiated health claims made. For the most part Melaleuca’s products appear to be marketed honestly, but Truth in Advertising’s findings shouldn’t be taken lightly. BeReal Estate Review: Reselling property leases = 130% annual ROI?